Growth driven design is a new approach to web design. Born out of the HubSpot ecosphere, GDD is the brainchild of Luke Summerfield @SavvyLuke. The concept is taking a systematic, analytical approach to designing (or redesigning) a website. Instead of approaching the entire project as a whole, GDD breaks the project up into bite size chunks that can be strategized and completed on an ongoing basis. This not only provides a constant flow of wins or progress throughout the project, but allows for greater mobility throughout the project. We all know things rarely go as planned. In the balance lies the difference between good and bad web design. GDD allows you to make changes on the fly which would otherwise be a major headache with traditional website projects. Growth driven design starts off with a complete analysis of your existing website or proposal for new one. Using tools such as analytics, heat maps, customer feedback, and other factors that might be specific to certain sites or industries, we begin to identify the core of a website that is fundamental for all other aspects of the site. This is the most important (and most relevant) information about the business. Next, we can create a “Launchpad website”. This is not your full 50-100 page website. This is a small 5-10 page website that drives to the heart of your business. Then, through a discovery process, a “wish list” of all the things you as a client want to include in the website. Some might be big and some might be small, but gathering a list of everything we could ever want in a website provides a roadmap for the future. Now not all of these items will be possible, especially with the initial Launchpad website. So, by process of elimination, we target the few items that will have the most impact for the end user and the business. This is known as the 80/20 rule. What are the top 20% of items on the wish list that will have 80% of the impact on the effectiveness of the site? This is what we strive to include in the initial launch. Once the Launchpad website is live, we continually analyze all aspects of the website to evaluate the effectiveness. This is to make sure what we thought was most important to include up front was correct. If it turns out that is not the case, the second phase is where adjustments can be made. This is also where ongoing progress takes place. The rest of the wish list, along with additional pages, functionality, and all the bells and whistles of the website are added systematically in stages over the next few months. Continuous testing allows for making quick changes if something is performing as well as we like, and should analysis reveal something we weren’t aware, we change directions in upcoming sprints without throwing the whole project off track. So how is GDD Better? 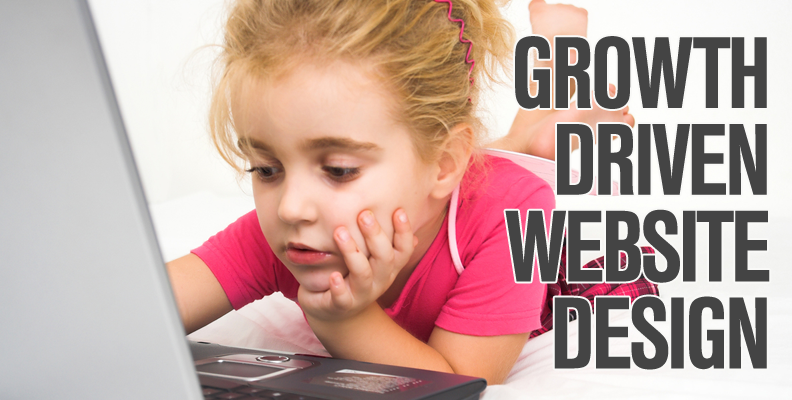 There are 3 main factors that make GDD a more viable option than complete site redesign. Cost – The cost of an average website can be anywhere from a few thousand up to tens of thousands or more. This can be a pretty big investment all at once. With GDD, you’re able to break up the financial commitment based on multiple phases. When you approach a project this way, you minimize the risk of financial loss and allow you to progressively build your site within a reasonable budget. Timeframe – Website projects can lag on for months or even years. By the time your website is done, it’s already out of date. With GDD you can have a Launchpad website up in a less than half the time. This allows you to have a working website that you can both promote and user test sooner, while building your wish list over time. Flexibility – We all know how the scope of a project can change greatly over time. By using a series of short phases, if a new product needs to be promoted or some other item takes priority, you can change quickly prioritize that into the next phase as opposed to interrupting the whole project. Changes are more easily handled through GDD and have a lesser impact than with a traditional website design. Analysis – A main component of GDD is the ongoing analysis through an array of tools such as Hot Jar, Google Analytics, CMS Analytics, etc. Every action is backed up by data and hypotheses are based on historical performance. This allows you to make the most of your efforts and ensure that the work being done is having a positive impact on the overall site. One of the best things about GDD is that it can be applied in a number of ways. It works great as part of an inbound marketing retainer as well. Revenue River has applied Growth Driven Design in a number of various ways to support a variety of client needs. As new content offers are created, landing pages/thank you pages and site promotions can be created on an ongoing basis. That means that not only is GDD effective in the initial launch of a website, but is also a great approach to ongoing maintenance as well. Growth driven design can be used to systematically update the design of an existing website if you are keeping all of the existing content and simply looking for a little face lift as well. The concept of completing “sprints” or phases of work on an ongoing basis is a very powerful tool to get stuff done. Combine that with backing up your actions with analytical data and you efforts are targeted, meaningful and produce real results. If you’re thinking about a website design or redesign, ask about a Growth Driven Design approach and make sure your next website was worth all the effort. 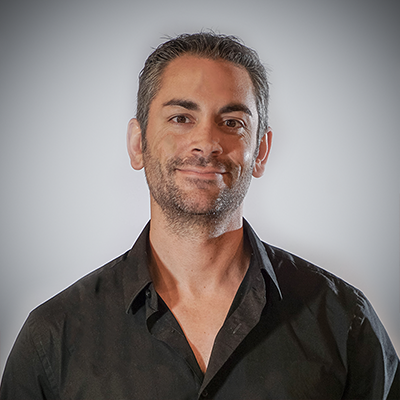 Mike has over 9 years of experience conceptualizing and developing creative deliverables specific to client business objectives.